On Aug. 28, new laws went into effect, reforming the state employee merit system and changing the way state agencies recruit, hire and reward workers. We appreciate your patience as all departments adjust to the new policies. Check out this Office of Administration guide to merit reform to help you understand how the new system works. Still have questions? Send them to us! Email doc.media@doc.mo.gov, and we'll get answers. Read responses in the October newsletter. 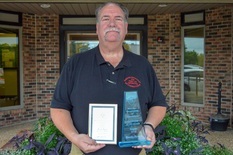 Randy Power, a maintenance worker at Western Reception, Diagnostic and Correctional Center, is the August 2018 Missouri Department of Corrections employee of the month. Randy knows how to handle an infrastructure emergency. When a major water line broke in St. Joseph, he made three trips to a nearby fire station to collect water, working late into the night to ensure the facility had plenty. In 2015, when a heart transplant saved Kraig Gresham’s life, he committed himself to becoming a champion for organ donors, transplant patients and their families. Last month he became another kind of champion. 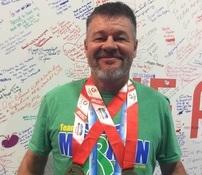 Gresham, a corrections training officer at the Western Region Training Center, competed in the Transplant Games of America in Salt Lake City, Utah. 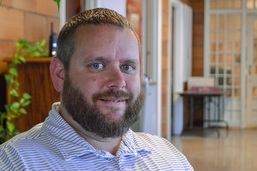 As a member of the Mo-Kan team, he won gold medals in doubles golf and racquetball. Of course, he's always been a hero in our book. 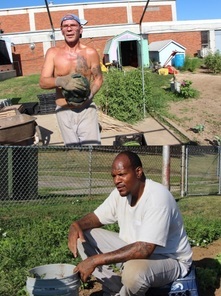 Community recognition continues for the hard work staff and offenders invest in supplying low-resource Missourians with fresh fruits and vegetables. Gardens are flourishing, and reporters are sharing the news. The latest: Billy Polansky, executive director of the Columbia Center for Urban Agriculture, has launched a four-part series on the program, examining how Restorative Justice Gardens benefit the community and offenders — while helping to challenge stereotypes about corrections. New installments are published every Wednesday in the Columbia Daily Tribune. The Corrections Way, our department's own management training program specially tailored for the corrections environment, is moving into the next phase. We've already trained more than 2,000 supervisors to improve communication with staff. Now we're adding new courses and training sessions. Look for super-cool video training modules soon! Our trendsetting department isn't the only state agency working to improve effectiveness. The State of Missouri has launched a program, The Missouri Way, to help leaders in all departments work together to be better managers for state employees. Corrections leaders took part in the first training session in August at Runge Nature Center. Take our surveys! Please! The department's research team is sending random and anonymous surveys to staff, seeking feedback on efforts to improve our work culture. If you've been selected, please participate. Your responses shape big decisions and help us make a better department. What's happening in your unit? Tell us about success stories, new programs, triumphs, challenges and questions. Send ideas and photos to doc.media@doc.mo.gov. MODOC is ready to learn. 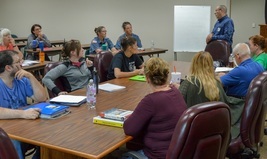 Through a new partnership with Rockhurst University, staff and offenders at Chillicothe Correctional Center kicked off the fall semester with free college courses taught by Rockhurst professors. 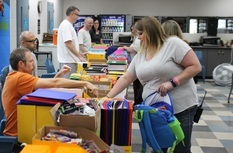 College programs also are available at Missouri Eastern Correctional Center and Eastern Reception, Diagnostic and Correctional Center through partnerships with Washington University and St. Louis University. On the evening of Aug. 22, offenders at Northeast Correctional Center refused to comply with staff orders while moving between housing units and the small yard during recreation time. Remaining calm and firm, NECC staff returned offenders to their housing units without incident. Offenders in some units continued disruptive behavior, and those units and were placed on lockdown and denied visiting privileges. Within a week, all units had returned to normal activity. Thank you to all NECC staff whose quick thinking and professionalism helped to avert a serious incident and keep everyone safe. 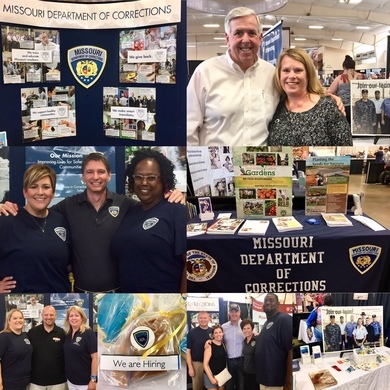 We're working hard to retain staff and to make the Missouri Department of Corrections a great place to work. Awards are a wonderful way to make employees feel valued, but there's more we can do every day to show how important each person is in what we do. 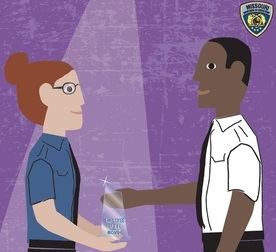 Remember the vital role you play in supporting the department's mission.